The most impressive health benefits of Eclipta alba include its ability to detoxify the liver, reduce inflammation, soothe the stomach, prevent certain cancers, stimulate hair growth, boosts the immune system, protects the eyes, and lower blood pressure. Bearing small white, yellow, blue, or red flowers and membership in the sunflower family, Eclipta alba has a number of other names, even scientific ones, including Eclipta prostrata, false daisy, and yerba de tago. However, this small, unassuming plant that is likely native to the Indian subcontinent has spread across the world and is widely used in traditional medicine and herbalism. Historically, it is most commonly connected with Ayurvedic medicine, the traditional Indian form of treatment, but its undeniable benefits have popularized it around the globe. There are four main varieties of Eclipta based on the color of their flowers, but the most common is the white Eclipta alba. The extracts from the leaves and flowers of these impressively powerful plants can be applied in numerous ways, both topically and internally, to soothe many ailments. However, the plant can also be eaten raw to get a direct dose of the nutritional benefits, but many people prefer a more concentrated and less “leafy” mode of consumption. You can also make a juice, hair tonics, skin salves, and a variety of other forms of Eclipta alba, depending on what health concern you’re trying to tackle. Now, let’s take a more in-depth look at the many impressive health benefits of Eclipta alba. Although jaundice often sounds like a disease from the long-distant past, many people in the world still suffer from this condition that severely affects the liver and its functionality, resulting in a discoloration of the skin. Eclipta alba has been used for thousands of years to properly balance the liver and ensure its normal function. If you suffer from the uncomfortable condition of hemorrhoids, finding relief can often be difficult. Eclipta alba has shown promising results in reducing the inflammation in the sensitive area and providing soothing, analgesic relief. When consumed orally, Eclipta alba has been found to calm any disturbances in the stomach, namely indigestion or constipation. It can restore normal functionality to these areas of the body thanks to the rich variety of chemicals and organic compounds found in the plant’s extract. Eclipta alba also has certain antibacterial and antiseptic properties that make it highly effective at preventing and treating infections. When taken for a urinary tract infection, Eclipta alba can quickly reduce discomfort and neutralize the bacteria to restore normal function to your bladder. If you are concerned about premature hair loss or thinning, as well as dandruff, then adding a bit of Eclipta alba to your hair regimen is a very good idea. It can be mixed in with shampoos to moisturize the scalp, preventing dry skin, and consequent dandruff. Furthermore, it can strengthen follicles and follicle beds, preventing hair loss and slowing down conditions like male pattern baldness, while also providing a rich luster to your locks. It can even promote the re-growth of hair that has already been lost and speeds the growth of existing follicles. For people suffering from chronic respiratory infections and coughs, a bit of Eclipta alba can go a long way. The antibacterial nature of the extract can clear up the infection, while the expectorant qualities can force out any remaining phlegm or mucus where additional pathogens may be growing. The leaves of this plant have a very high carotene content, which is a crucial antioxidant substance for the health of your eyes. Carotene can eliminate the free radicals that cause macular degeneration and the formation of cataracts, so adding some Eclipta alba to your herbal diet regiment can keep your vision clear for years! Several studies, including the paper titled, ‘In vivo evaluation of Eclipta alba extract as anticancer and multidrug resistance reversal agent’ points towards the anticancer potential of this plant as well as the possibility of developing it as a multidrug resistance reversal agent. Apart from this, ‘Green chemistry approach for the synthesis and stabilization of biocompatible gold nanoparticles and their potential applications in cancer therapy’ suggests the use of Eclipta alba in the production of biocompatible gold nanoparticles to be used as a delivery system for cancer treatment. Such research has highlighted the anticancer potential of Eclipta alba through lab studies. 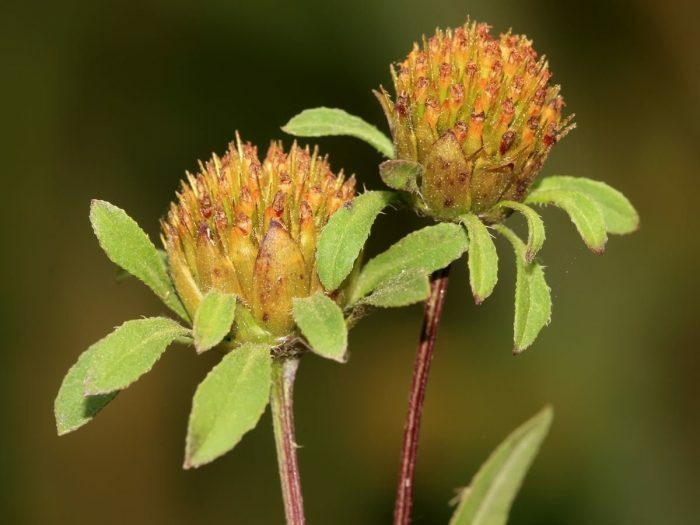 Although there is some controversy about the reliability of this herbal extract for the treatment of cancer, early research has shown that Eclipta alba can inhibit the growth of cancer cells in the liver. While this line of research has been limited, it appears that the organic molecules in Eclipta alba disrupt the DNA molecules for the proliferation of cancer cells, thereby having a cytotoxic effect and killing those dangerous, mutated cells. Word of Caution: While there are no regularly reported problems, there is always the chance on an allergic reaction in sensitive individuals. Lactating and breastfeeding mothers can use Eclipta alba, but pregnant mothers should consult their doctor before using this powerful herb. Average rating 4.0 out of 5.0 based on 94 user(s).